The American woman who was kidnapped by Taliban-connected militants shared with NBC News on Sunday details about the nearly five years she spent in captivity, less than two weeks after she and her family were rescued. 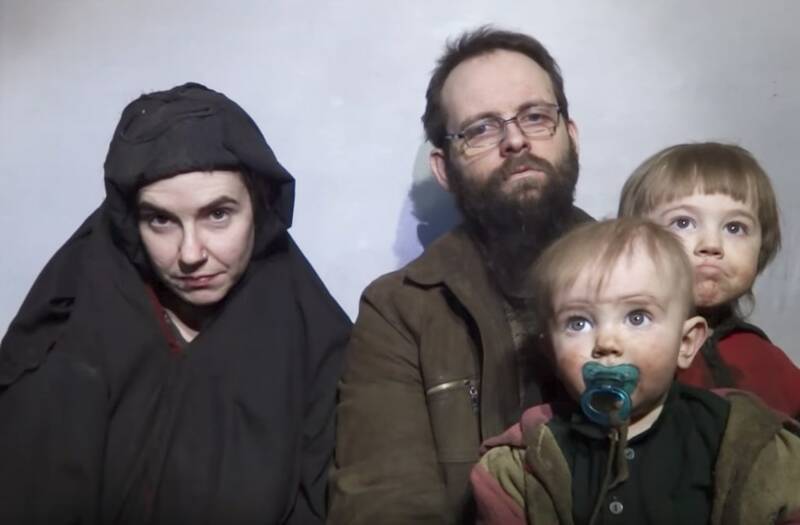 Caitlan Boyle, who was known as Caitlan Coleman prior to her marriage to Canadian Joshua Boyle, described how she educated her three children while imprisoned by Taliban-linked fighters. Boyle and her husband were taken by the Haqqani network, an insurgent guerilla group connected to the Taliban, nearly five years ago while the couple were backpacking through Afghanistan. All three of her children were born in captivity. Najaeshi Jonah Boyle, 4 years old and her oldest child, was particularly good at math, she said. "We were able to teach Najaeshi a lot of history, some facts about nearly 100 countries around the world, and pretty much all of his elementary school math,” Boyle wrote. “He’s fantastic at adding, subtracting, knows his times tables up to 12, loves the abstract ideas he has of perimeters and areas from pseudo-measuring our cells." The Boyles plan to continue homeschooling their children, including 2-year-old Dhakwoen Noah and 6-month-old Ma-Idah Grace. While they have only been back in the United States for a short time, Boyle said she is already excited about the possibility of providing her children a more engaging education that is not limited by the four walls of their cell. "Growing up I loved the personalized curriculum that homeschooling offered, and hope now to give the same to my children,” she said. “Field trips to local historical sites and nature parks, projects and experiments and crafts abound in my memory and Joshua’s.